I sometimes have to convert between ebook formats, and that is a common scenario for ebook readers who often experience that ebooks are available as free pdf downloads. The trouble is that the pdf’s usually aren’t displayed nicely on ebook devices, but displays nicely on computer screens. Another issue is that a specific ebook might be available in formats that are not supported by the ebook device that one currently use. So what to do? For converting from prc/mobi/html/text/epub to prc/mobi/html/text/epub one can use Stanza (also freeware), and it’s available for windows, mac and iphone.Personally this haven’t worked out so well for me. When reading converted ebooks to prc using stanza, then my iRex iLiad displays the ebook, but there is no paragrahs and chapters. It’s a continues flow of text that is tiresome to read.When converting an ebook to epub, my iRex iLiad isn’t able to read them at all, it only crashes even though I have FBReader installed on it. 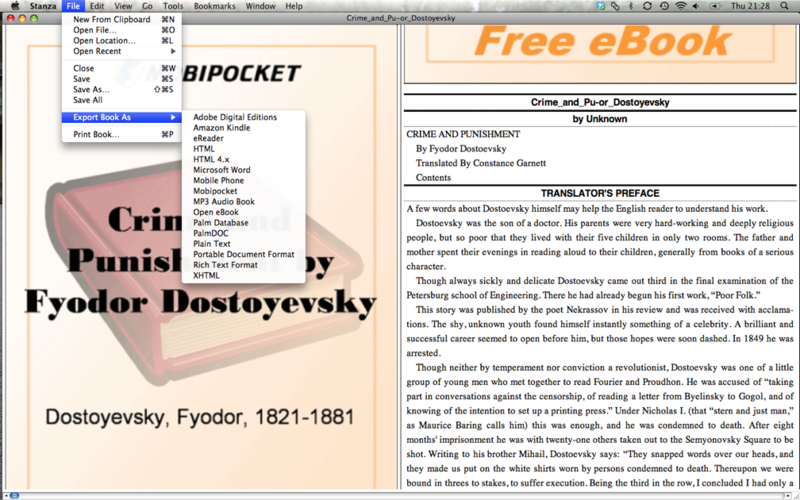 A great resource to get started is MobileReads EBook Conversion Software and Freeware page. If you have any suggestions and experiences, I would love to hear about it. This entry was posted in EBooks, Freebies and tagged epub, formats. Bookmark the permalink. If XP works for you, why would you want to use twice as much RAM and CPU to do less work more slowly? But sometimes there are some useful apps that aren’t available in those two operating systems. With the shape and feel of a super sized iPod the kindle just has this “feel good” about it. Just received mine today (in Denmark) and everything appears to work smoothly. Received my New York Times and bought a book. Switching between reading and reading aloud is just two clicks. Can’t wait for “reading” my new book or the Times on my way to work in the car tomorrow. 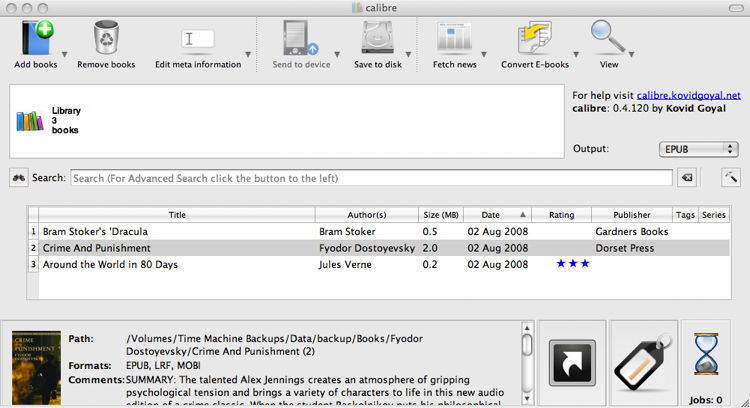 Inline access (in all documents) to the build-in oxford dictionary is a great feature as is the ability to annotate. * The book I bought was clearly scanned/auto-converted and not fully (manually) preparred for the kindle. Some spaces, line breaks, periods/commas are missing from the text. Not crucial – just a bit annoying (especially when using the ‘read aloud’ feature. Amazon should improve the QA a bit. The ease of buying books is very likely to increase my books budget – but at least it’s green :). No more bad feelings about having books shipped by planes and trucks! Many of the ebooks are not properly formatted/converted from the publishers. Ebooks have not been through the proof-reading, viewing tables/columns that are poorly formatted. Ebook devices using E-ink displays images badly. I don’t really know why, but one of my guesses would be that the images aren’t created in greyscale and for ebook devices. I think all the software links that you gave are of large sizes. Is there any small software that can convert PDF or WORD docs to epub format?